You know how prophecies come true. How when I said cook books weigh down on me while food memoirs don't I was actually treading into this little trap set out be me alone. Well so this Madhur Jaffrey book had family recipes towards the end which I initially didn't notice and then chose to ignore. The pace at which I was reading, I had already renewed the book thrice, paid an accumulating fine of $9 and was all ready to return it after the last chapter. But that was not to happen. I turned the page, read the recipes, well some of them and thought let me try at least a couple before I return this. So I renewed the book again and there went 4 more weeks without me cooking a single thing from that book. Somehow the book & me were never on the same floor together, if I was in the Kitchen, the book was upstairs or in the basement or some place else but never at a hand's reach. Mostly it sat on the bedside table, the recipes beckoning to get cooked, while I paid some more fine. Finally couple of weekends back there were some friends visiting and I wanted a chicken recipe simple and different. This is when I found Murgh Korma, a chicken dish made of yogurt and almonds tucked away among the few recipes in the book. 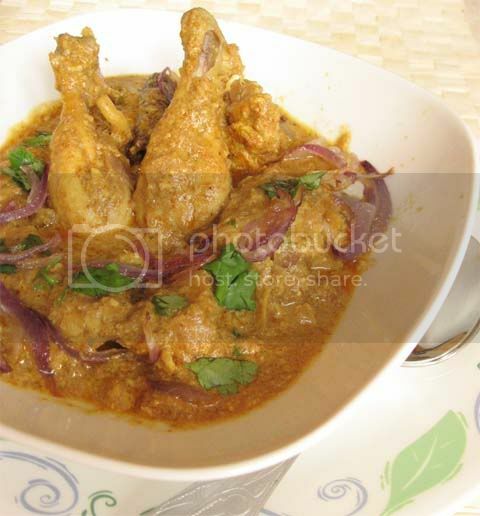 The chicken korma sounded delicious, olde-worlde delicious, different from the Chicken Korma recipes out there, even different from Madhur Jaffrey's own Chicken Korma on the BBC site. I made it because of the simplicity of the recipe and because of the almonds. The dish turned out to be a reward, a deliciousness worth of 6 months of renting a book, not to mention the fines. Here I have reproduced exactly the author's version of the Chicken Korma with Almonds in a Yogurt Sauce as in her memoir "Climbing the Mango Trees". She must have changed the recipe later to cater to a more western audience and a faster lifestyle. Try the original, it still is fast enough and the taste is worth it. I have added my own subtle changes in a separate section. A minute later add the chicken pieces, only as many as possible in a single layer. Brown the chicken pieces lightly on both sides, removing to a bowl when done. Do this for all chocken pieces. Put ginger, garlic and 1/4 cup of water in a blender. Blend until you have a smooth paste. add the almonds, 2 tbsp of water and blend till you get a smooth paste. I went a little low on the ginger, I had almost 5lb of chicken and still the same amount of ginger. Garlic & Almonds I doubled because I had more chicken. Put Yogurt in a bowl. Whisk until smooth. Add the garam masala, corriander pwd, cayenne & salt. Stir well to mix. I added both Kashmiri Mirch and Red Chili Powder. Now add the chicken pieces, only as many as possible in a single layer. Brown the chicken pieces lightly on both sides, removing to a bowl when done. Do this for all chicken pieces. Add the golden raisins. Add the paste from the blender. Stir and fry for 2 minutes or till oil separates from the masala. Lower the heat and add the yogurt. Stir to mix and bring to simmer on low heat. Adjust for seasonings. I add a little sugar at this point. Now put in the chicken. Stir to mix and bring to simmer on medium heat. Add water if you need more gravy. Cover and cook for 25-30 mins at low heat until chicken is tender. Trivia: Korma has its roots in the Mughlai cuisine of modern-day India. It is a characteristic Persian-Indian dish which can be traced back to the 16th century and to the Mughal incursions into present-day Northern India, Pakistan and Bangladesh. Classically, a korma is defined as a dish where meat or vegetables are braised with water, stock, yoghurt or cream. Sure I gonna try this one and let u know sure. I love almond and this one looks tasty enough! Did u keep so long? I bring recipe books with loads of delicious pic, I just keep turning and rarely give out a try! SOunds delish, San. Hey, can you shoot me an email at mysoorean at gmail dot com? Can't find your email in my mailbox! I have a Madhur Jaffery's cookbook too and hardly cook from it.You chicken korma looks so delicious that I have to start scavanging through it again. 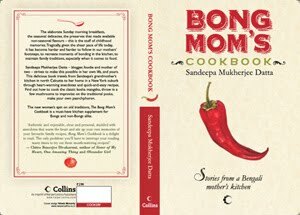 I am sure i'd be sailing in the same boat of i ever had a cookbook! I don't know why, but i haven't yet gotten a cookbook. How is the memoirs part of the book? I am sure this dish would have tasted great, because almonds add such lovely texture and creaminess! The addition of yogurt and almonds is prolly what makes this awesome! I am a vegetarian but the way you have written makes me want to have some chicken. I recently picked the read to eat chicken korma from M&S which had this same almond-yogurt base...was a little low on spice for me. Should try making it at home. Very nice introduction as usual, will try soon after I cook the Mushroom. One definition of Korma, which is there in the book by Maharaja of Sailana on Badshahi dishes, says Korma is mainly gravy in Oil with little moisture left...and in Kalia water is left with oil. Amy way whats in a name ? I am tempted to try this Korma with a fast surface fried (browned) Paneer, for my vege friends. I have left some lines on Taher and mustard oil use in Kashmir ,at your Mushroom Alu blog. One of my first cooking book was form her but then the far eastern cookery book from bbc. I am sure bookmarking this one, that suace just looks so so delicous. I really liked the memoir part, Maninas here disagrees though. I liked the description about old Delhi and Kanpur etc. You already made it !!! the dish looks delish Sandeepa. would definitely try out a vege version of this. I think I'm going to use the gravy recipe with veggies. Good that yogurt is used instead of cream. And :D LOL @ your renewal saga. Classic recipe! Looks too good!Bookmarked! Turned out really good. I must admit I thought it would be the run of the mill jhol as the only new ingredient was the almond paste. Turned out awesome... only I didn't get such a lovely red-brown color as yours. Mine is pale white-ish yellow. Did you put a lot of lal lonka? Moral of the story - "Trust Sandeepa" - I am yet to go wrong with anything from your blog! Aww you are just too much. No I did not put "lal lonka". I used "Kashmiri Mirch" gives the color without the heat. I like the fried onion bit, I usually don't do that. Couldn't you keep that book then, hey a hurricane should have at least some privileges. How much salt is required? It isn't listed in the ingredients but is mentioned in the directions. Do you skin the chicken or leave skin on? Hey thanks for the recipe. I tried the madhur jaffrey version and really turned out great ! Hello Bong Mom! I found this blog in Foodista and followed it here. One of the things I love the most about visiting great blogs like yours is I get to not only see food I've never seen prepared before, but you get to read about how they taste. Love it..... & now I'm hungry .... again :) By the way you can place more Foodista widget in your past and future blogs so that other Foodista readers can follow and see your blog too. Just search for a related recipe or food in Foodista and use its widget. I hope to read more from you. Cheers! 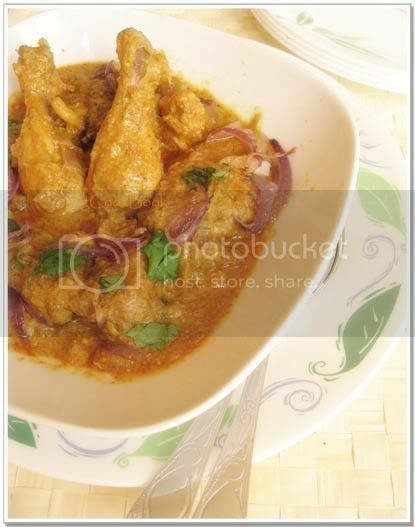 Chicken Korma ta dekhte khub shundor hoyeche. Ek baar TV te Madhur Jaffry ke alu posto aar luchi banate dekhe chilaam. I lost faith in her since then. 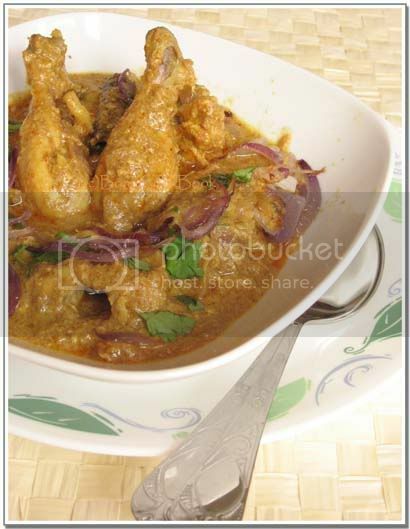 Tomaar touch diye tumi chicken korma ta ke liven up korecho! I also cooked the spinach, green lentil and ginger side from her cookbook which was also delicious. Today was the very first time I have ever attempted a Chicken Korma, I wanted the very best recipe I could possibly find & I have searched and searched. And I have say I picked the absolute best - restaurant quality; only better!!! Thank you Bong Mom. Love your site! I have read your article post. thank's for recipe. my favourite recipe Madhur Jaffrey's Chicken Korma. I was not aware of this cooking method. I love the food at all difficult to handle temptation.